Bryce Alger checked in to Cotile Lake. 3 miles from my house. In this cemetery lies Dinah Jenkins, the daughter of slaves, raised among the plantations surrounding Bayou Rapides. 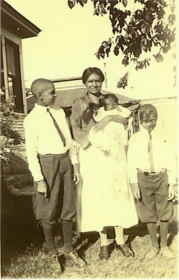 Her offspring fled Louisiana to Minnesota, during Jim Crow to avoid persecution. Two generations later, Mrs. Jenkins’ great-grandchild picked up a guitar. His name was PRINCE. For whoever asked if any Native American ancestry exists in Prince's lineage, the answer is yes! Cherokee and Blackfoot blood in particular. One of his ancestors was the son of a slave master and freed Cherokee slave. However, his brothers disowned him when he married a Black woman. This would've likely left him out of receiving an inheritance from his parents. Also, during the age of slavery it was not uncommon for Blacks and Native Americans to intermarry, the same also applied to Native Americans that married Scottish. wow, if true this is bloody amazing! I had heard that he had Native American ancestry. Thanks for sharing! So, if I read this correctly, an ancestor was the son of a slave master as well as one being native American. Do you all interpret that to mean he had white blood in his ancestry as well? Maybe I am not understanding what the writer was trying to say. this is princes great grandfather. this is the Ancestor that they are talking about . Edward Nelson, was the son of a wealthy white slave owner and a freed Cherokee Slave. Denounced by his half-brothers for his marriage to a black woman, Nelson left Louisiana and traveled throughout Arkansas and Louisiana as a minister for the Colored Methodist Episcopal Church. Another connection between Prince and me again... Blackfoot Native Amerikan in my background, too! So where does Dinah Jenkins fit into the picture? So where is the Nelson name? Where's the genealogy documents to prove it?? Researching a family tree is not easy. White and Cherokee ancestry certainly now do make a lot of sense. It is good to see he had such a varied and rich heritage. You keep linking back to the Nelson name. But the Jenkins name wasn't a Nelson? The Jenkins name was from his Mothers side? Yes, the jenkins name is from his maternal side,nelson from his paternal side. Your the one who asked me where the nelson name came from which i already explained. Oh, Ok. All I was trying to do is figure it out because it wasn't making sense to me. I wasn't thinking Prince's maternal side. 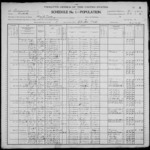 The info from the site Geni.com was debunked in another thread because people were inserting fake white ancestors on his family tree. ETA, I forgot that links don't work on this janky assed site. The thread title is "Prince's Family Tree Roots According to a site called Gen i" If you want to find the thread. Also Known As: "Carrie Jenkins", "Carrie Ikner", "Carrie Nelson"
You can't figure out which are real because some of them are photos from another Geni page that had nothing to do with Prince. Mittie Maud Lena Gordon, president of the Peace Movement of Ethiopia (PME), was born in Webster Parish, Louisiana. Her father, Edward Nelson, was the son of a wealthy white slave owner and a freed Cherokee slave. 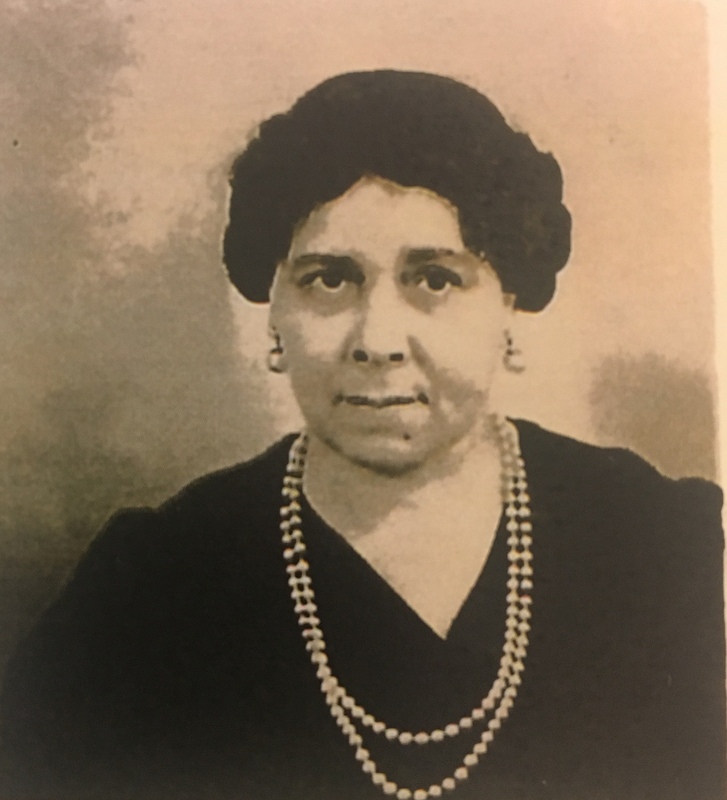 Her mother, Emma Hardy, was black. Denounced by his half-brothers for his marriage to a black woman, Nelson left Louisiana and traveled throughout Arkansas and Louisian as a minister for the Colored Methodist Episcopal Church. Young Mittie traveled with him from 1897 to 1913. At the age of nine she witness a lynching of a black man by a white mob. Gordon married Robert Holt in 1903 and had two children. Holt died in 1906, and Gordon was married a second time, in 1920, to William Gordon of Chicago. Having been taught about the theories of Henry McNeal Turner and other earlier black nationalists by her father, Gordon was attracted to Garveyism and the UNIA. She became involved with the UNIA in Chicago and served as a delegate to the 1929 UNIA convention in Jamaica. She was disillusioned by the factionalization she witnessed in Jamaica and returned to Chicago with the desire to found an organization with a single issue that would avoid the over-diffusion she felt had been the downfall of the UNIA. The PME was founded in the back of her husband's Chicago restaurant in December 1932. Beginning with Gordon as president and twelve other members, the stated goal of the new organization was the repatration to Liberia of North America's black population by means of massive federal aid. Gordon's strategy was to circulate petitions among blacks asking for their endorsement of the cause and then to use these petitions for lobbying purposes. A petition with some four hundred thousand signatures was sent to President Roosevelt in 1933 but was, like all future correspondences from the PME, promptly channeled to the Department of State and, within it, to the Division of Western European Affairs, which replied that interference by the United States with European holdings in Africa for the purpose of acquiring land for black colonization was not pragmatic. All other efforts of PME delegates to meet with President Roosevelt were similarily rebuffed. Failing on her own account to penetrate official circles, Gordon began to formulate alliances with influential white racists who shared her faith in repatriation as a solution to racial tension and as a permanent means for the prevention of amalgamation. Gordon contacted Earnest S. Cox in March 1934. He became the national representative of the PME (1936), and he and Gordon worked in tandem on a four-point program. With Cox as a spokesperson, they continued to try to contact the president, to reawaken the American Colonization Society's interest in colonization, and earn an endorsement for their plan from President Edwin Barclay of Liberia. They also approached the Virginia legislature to present a prorepatriation resolution to Congress. They were successful with the Virginia General Assembly, where almost one million signatures gathered by the PME, UNIA, and other black organizations were presented to the legislators, who responded by passing the desired memorial in March 1936. This success was followed by an encouraging letter from Barclay's aide-de-camp welcoming African-American immigrants to Liberia. Two members of the PME, David Logan and Joseph Rockmore, went to Liberia as emissaries in 1938. Their passage was paid by PME members who had raised the money through the collectio and sale of rags and bottles. State Department officials reported "that President Barclay does not take seriously the expressed hopes of the PME that financial support will be received from the United States," and thus placed monetary restrictios (proof of at least $1000 in assets for each immigrant) on his "welcome" to potential colonizers. Logan and Rockmore remained in Liberia for one month, spending much of their time in the company of T.J.R. Faulkner, a Marcus Garvey sympathizer and proponent of mass migration. By 1939 the PME had collected over two million names on its petition. They had also found a new ally in Theodore Bilbo. Both Gordon and Cox were present in Washington D.C., when the Bilbo Greater Liberia Bill was introduced in the Senate on 24 April 1939. Despite Gordon's hopes and several efforts to have it reintroduced in future sessions of Congress, the bill was unsuccessful, dying with its senatorial advocate in 1947. Yes, I wondered if it was from that bogus info again. Thanks for clearing that up.